On November 6, 2018, Georgia governor’s election was stolen by the Republican party led by Brian Kemp as Secretary of State and overseeing his own election. The narrative is that the election was by the law. But we know the election was stolen through voter suppression, rejection of absentee ballots, voting machines without power cords, and sending a couple of voting machines to polls that had thousands of active voters. To add insult to injury, with a need for additional voting machines across Georgia, 700+ brand new voting machines just sat in a warehouse unused. With a very hard fight and over ten days past the election, Democratic gubernatorial candidate Stacey Abrams gave in after being totally out-schemed the GOP way. Typically it is the United States that rides in on the white horse to enforce democracy and fair elections around the world. But we are talking about an election in the United States. So who can come save us? There has to be a consequence for the GOP stealing the Georgia election right before our eyes. Yes, an election in the United States stolen in broad daylight. So what can we the people, we the citizens of Georgia and the country do about it? The Offense: Election Stolen. 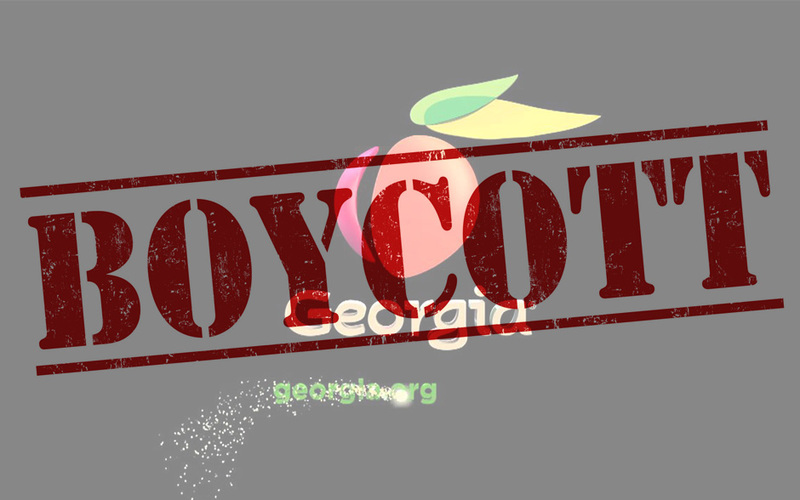 Consequence: #BoycottGeorgia Film Industry. 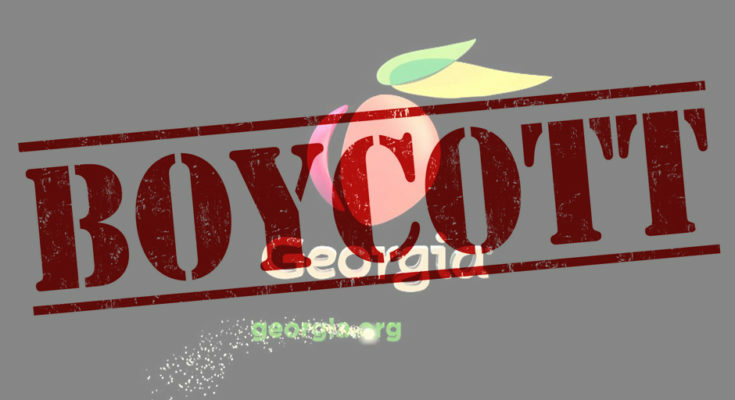 Why Boycott the Georgia Film Industry for Change? Established in 2001, the Urban Mediamakers is a consortium of independent content creators – actors, filmmakers, writers and new media creatives – here in metro-Atlanta, Georgia. As founder/producer of the organization, let me be the first to tell you that I am a 100% supporter of the film industry in the state. But as a native of Georgia born and raised in Atlanta, I know my state – the good, bad and ugly. The Georgia 2018 midterm election was stolen by the GOP. Period. With a love for filmmaking, voting rights and equity for all people, I support a boycott of Georgia film industry with demands. Here are a few of my reasons for supporting a boycott of the Georgia film industry. Georgia’s 2018 midterm election was stolen in the name of white supremacy. Everything that we are appalled about with the election and the divisiveness in this country evolves from one fundamental issue that must be addressed – white supremacy aka racism aka cultural exclusion. If Stacey Abrams of Georgia or Andrew Gulliam of Florida had won governorships in this election cycle, the civil war would have been lost again in the eyes of many in power. As the saying goes, money talks and BS walks. Hold the money – the almighty dollar! The one and only thing those in power in Georgia, this country and around the world understand is money. Economic boycotts work to bring change. Georgia is the home of Stone Mountain’s most recognizable feature is a carving celebrating Confederate Generals Robert E. Lee, Stonewall Jackson, and President of the CSA Jefferson Davis. This is the largest sculpture of its kind in the world. Stone Mountain was (is) known as a KKK headquarter. 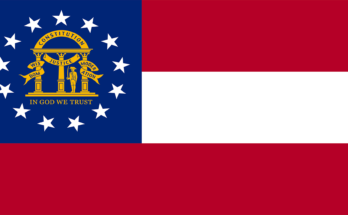 The current Georgia State flag (right) is the original confederate flag (left) with the Georgia emblem added. The Georgia tax credit is afforded to productions of $500,000+ – a half a million dollars. Most independent production companies who have been in Georgia for decades working and promoting the state do not have half million dollar budgeted projects — most lucky to have $500,000+ as an annual revenue. So who is really making money from the ‘filmmaking boom” in Georgia? Georgia is the #1 production state for film/TV in the country and 2nd in the world only to the United Kingdom. Last year, Georgia gave away over $800,000,000 in tax credits to production companies. But who is benefitting from the tax credits? It is not the vast majority of citizens of Georgia. Again, show me the numbers. Georgia uses a 30 year made-up number – a multiplier – to determine the benefit of filmmaking in Georgia. It was not until this year that Georgia finally hired a professionals to do a “study” on the real impact of giving away $800,000,000 in tax credits to the film industry. Georgia ranks low in the country for education. How can the state with low education scoreas give away $800,000,000 in tax credits annually for film/TV production? Georgia created a new school industry to generate big revenue for select majority white schools for production assistants for film/TV? Activists had to fight to get black schools included in this program in Georgia. Georgia’s minimum wage is $5.15. The federal minimum wage of $7.25 overrides the Georgia non-liveable rate. Most film/TV productions in Georgia pay extras $60 a day for 8 hours – $7.50 per hour. Georgia is a right-to-work-state which gives employees no rights because an employer can fire you for any reason except ‘proveable’ discrimination. The AFL-CIO states “Right to work” is the name for a policy designed to take away rights from working people. Georgia politicians have challenged me with “But the union has increased from 600 members to 2,000 in Georgia.” Yes, that is true but where did the increase in members come from? Surely you do not believe those 1,400 creatives were just living in Georgia and had not bothered to join the union? Film/TV industry personnel follow the business. When California is popping, they move to California. When New York is popping, they move to New York. Right now Georgia – metro-Atlanta – is popping so they have moved here. Georgia has denied Medicaid to those in the state who need health coverage the most. But the state has no problem giving away $800,000,000 in tax credits to production companies. I admire Leader Stacey Abrams and respect her tremendously. She is the real deal — a true boss and genuine in her passion! But respectfully, Leader Abrams is wrong on #boycottGeorgia. The legal avenue is Leader Abrams’ solution. For the people, the #boycottgeorgia movement with demands will deliver results. Hollywood and big budget productions should think twice about supporting and endorsing a state with white supremacy as their proud calling card. An economic boycott of Georgia film industry with demands can bring change for citizens and stakeholders. Reduce the qualifying threshold for independent productions to $50,000 to receive at least the 5% tax credit for Georgia Promotion and 5% Credit for Hiring Permanent Residents of Georgia. Create a 1% film-to-school tax on all productions of $500,000+ in Georgia to go towards public education. Remove all symbols of the confederacy in Georgia including the carvings at Stone Mountain and the state flag. Raise the minimum wage in Georgia to at least $15. Overturn Georgia’s Right to Work Laws. It is exciting to be able to call Georgia the #1 film/TV production state in the USA and second in the world! It is exciting to see A- and B-list actors around the city. It is exciting to know that big-box movies are shooting in Georgia. That is a wonderful marketing and advertising tool. But what is the truth behind those words? Does cheaper productions take precedence over Georgia standing strong for white supremacy? White supremacy was the force behind the 2018 mid-term election and voter suppression in Georgia. White supremacy is an ever present element of life in the state. We the people have just witnessed an election for Georgia’s Governor stolen and we should not be back to business as usual. If dollars start leaving Georgia, positive change will come. I stand up against white supremacy. Hollywood should do the same.